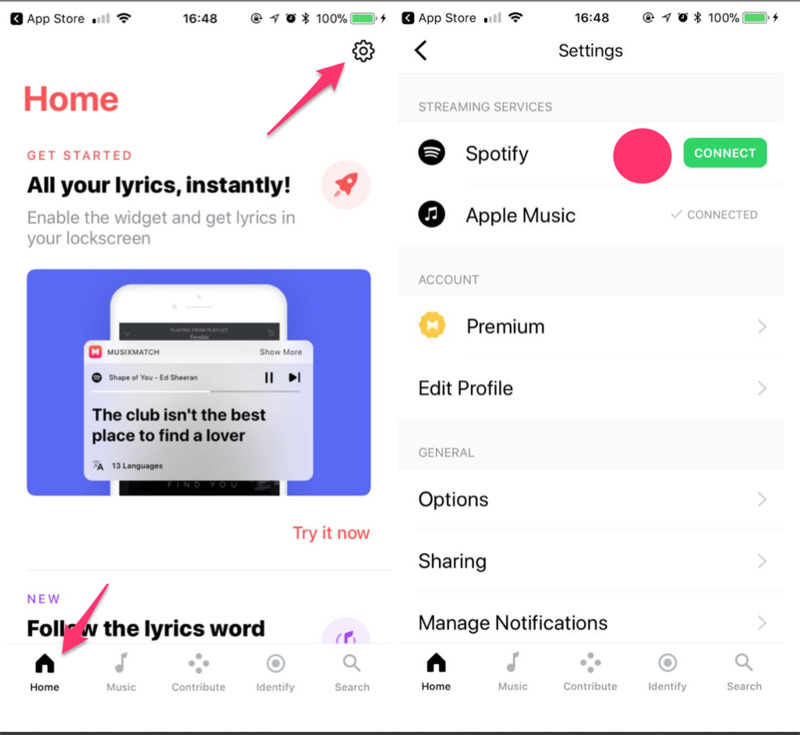 You can connect your Spotify account to stream your favorite tracks with synced lyrics and have a quick access to saved playlists and Spotify's entire music library without even leaving the Musixmatch app. Tap “Log in to Spotify" if you already have a Spotify account or “Sign Up to Spotify” if you need to create one. Go to the home screen clicking the “Home” button on the toolbar. Tap “Settings” on the top of the screen. You can change your music source on the music page in the top-right corner.